Steel Truss Solutions WA building systems have successfully gathered the knowledge and technology to be a leader in building cost effective, time saving, highly innovative steel frames and roof Trusses for the housing industry. 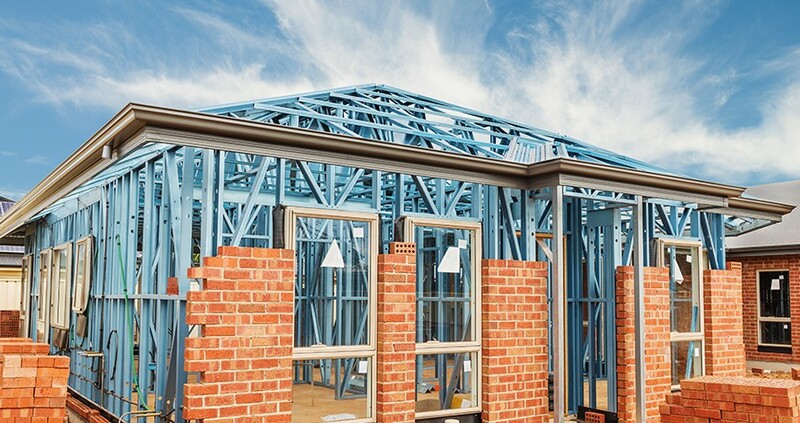 With the assistance of the latest roll form technology available in Australia, at our Wangara production facility and a quality assurance management system, Steel Truss Solutions WA can provide a unique combination of steel products to the commercial builder, owner builder or home renovator. If your requirements are for a prefabricated piece, or sheet of steel to your exact size and dimension, or a fully constructed building, we’ve got the resources to meet your needs. Our product offers higher strength, greater shelf life and resale value second to none. Overall we produce a more comprehensive, innovative and energy efficient solution not seen before in the industry. These products emerge accurately cut to length, notched, dimpled, punched and individually labelled. This maximizes quality and efficiency in assembly which is ground breaking within the industry. Prior industry procedures involved purchasing the roll formed product in shape form only. Then the complicated process of assembly requiring manual measuring, cutting, drilling, welding or riveting was necessary. Once assembled in our factory the final assembled steel products are packaged to suit either the owner builder in kit form or delivered to site for assembly and final construction. With time a major factor in construction today, Steel Truss Solutions WA offers a revolutionary and unique steel framed building system that is sure to impress. In our manufacturing facility, coils of steel are formed into steel studs/Plates/Noggins etc. All automatically sized, punched, dimpled and notched, eliminating the need to buy prefabricated walls, or stud and plate bundles. This method ensures there is a huge saving in time and labour on installation. Significant features are that the studs are dimpled and notched so that they are easily screwed together. The dimples allow the screws to be recessed; neither clamping nor drilling is required. The use of jigs is not required, because the roll former produces pieces, which joined together, make a perfectly square form. Dimensions for a wall, ceiling or roof section are entered into a computer which programmes the machine to cut to specific lengths. The program also generates a printout, or footprint. Marking is not necessary since the roll former is fitted with a high quality inkjet printer, which in turn not only prints the name but the specific part name/number directly to the cord/brace/stud/noggin/lintel/wall plate thus allowing for easy assembly.